We are looking for more properties to add to our selection of luxury houses either to buy or for rent in Italy. 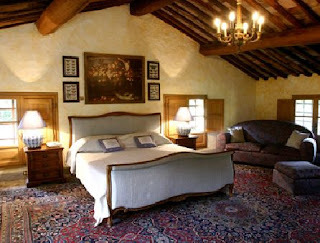 We are particularly interested in villas in Umbria and Tuscany, but not only. We have collectively been in the property business for nearly 30 years and we know the property business in Italy very well. Maybe you own a gorgeous hilltop Umbrian farmhouse with a swimming pool, or have a lovely stone villa situated in a tranquil corner of Tuscany or Le Marche and perhaps you don’t have the time to use this house as often as you might like. Maybe you are a globe-trotting executive and are unable to make it back to your corner of paradise in Italy for a few years or so. If this is the case and you would like to keep your house in Italy in good condition, then you should seriously consider contacting us http://www.abode.it/ to discuss how to place your villa in our portfolio. Your property will feature on our globally recognised website. Are you interested in renting your property to holiday guests during the spring and summer? Love the design of this room. So calming and the colors so perfect.